Dr. Renato Aves of Tampa places over 1,000 dental implants a year and is proud of his 98% success rate. Over the last decade, great advances have been made in dental implant materials and procedures. When your treatment is done by a dental implant expert like Dr. Aves and your oral health is properly maintained, you can expect your dental implant restorations to last the rest of your life. Patients come to us who have received implant treatment in the past and are not satisfied with the current status of those implants. Sometimes an old implant fails or the functional and aesthetic aspects of an old implant restoration are no longer optimal. They notice their implant is loose. They have peri-implantitis (infection in the bone around the implant). They feel the stress of biting forces on the implant and resulting soreness in the area of the implant and jaw muscles. They are dissatisfied with the appearance of their implant restoration(s). They notice their chewing function is not normal. An implant can fail to become integrated fully with the surrounding bone tissue and become loose. Gum disease can lead to infection around an implant. This “peri-implantitis” can destroy bone and loosen the implant. Sometimes, too few implants were placed to handle the stress of biting, chewing, and bruxism (teeth grinding while asleep). Sometimes, the placement, angle and/or height of the implant makes it subject to an over load of biting, chewing, and grinding forces. Sometimes the quality of the restoration on the implant(s) was not optimal. Sometimes there was inadequate healthy gum tissue, an excess of gum tissue, or an irregular shape to gum tissue that has left the patient dissatisfied with their appearance. 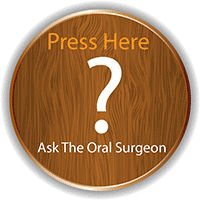 How are Implant Problems Resolved? Due to Dr. Aves’s knowledge and experience, you can expect to have the best possible outcome. If your implant is loose, your dental implant can be removed and the cause of it becoming loose addressed. If you have infection in the bone, it will be treated and bone enhancement procedures may make it possible for a new implant to be placed. If you had inadequate bone for the implant, if it was not optimally placed, or if the design of the implant was inadequate for your circumstances, appropriate treatment will be offered to address your individual needs. If gum tissue aesthetics or the appearance of your implant crown, bridge or denture are a concern, this will be addressed. With patience and adequate time to move through the steps of restoring periodontal health and preparing your bone and gum tissue for a new implant or implants, most patients can achieve the optimal function and appearance they want with implant replacement. Because each case is unique and many questions need to be answered before Dr. Aves can give you a definitive plan, we start with a complimentary consultation. This includes a 3-dimensional, cone beam CAT scan if required, which is a $475.00 value. This means your first visit here is free. We offer financial payment choices for treatment, will assist you in communicating with your insurance carriers, and can help you apply for a loan with CareCredit or Citi Health financing. Are you dissatisfied with your dental implants? Don’t wait to find out what is possible for you. We welcome you to call today to make a complimentary (no fee) consultation appointment. You will be glad you did!